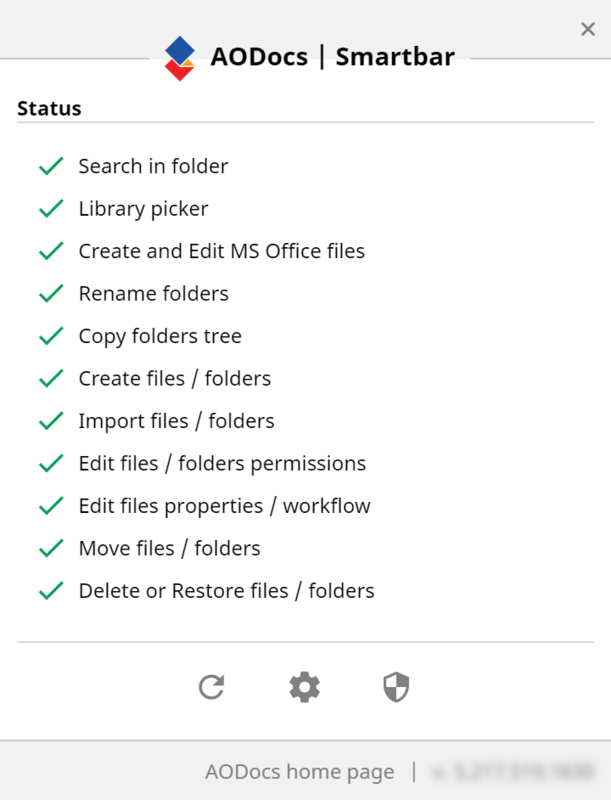 Below you will find the improvements and bug fixes in AODocs Smartbar Version 5.2. 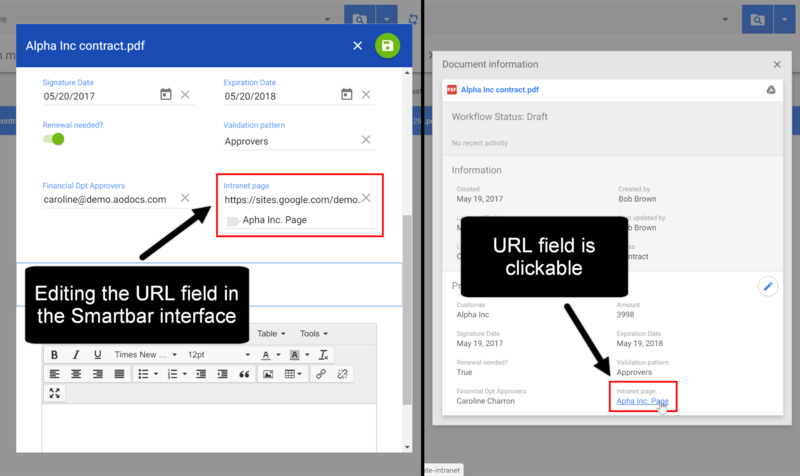 A display text can be added for URL fields as properties. 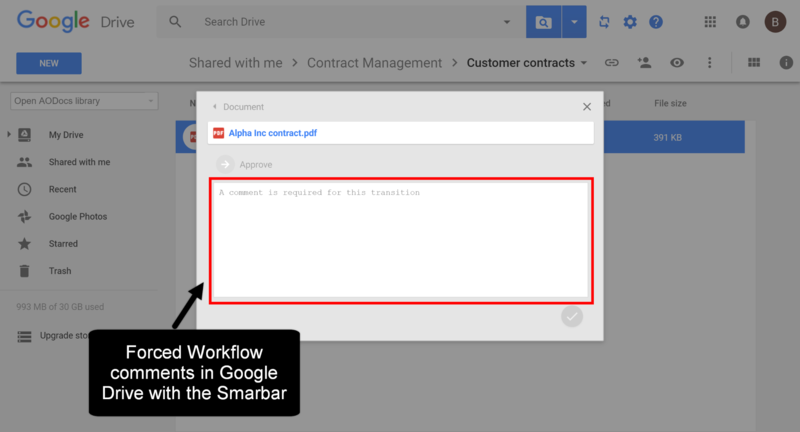 A workflow transition can force a validator to write a comment. You can access the Domain Administration interface from Google Drive. 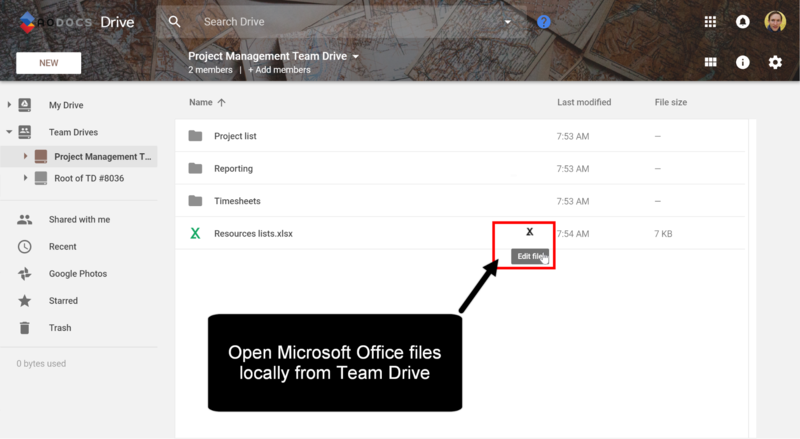 You are now allowed to open and edit Office files from a Team Drive. In all pop-ups, the Cancel button has been moved to the left and the main action button to the right. In read only folders not managed by AODocs, you can't create MS Office files from the New button. Persistent tooltips don’t appear anymore. Folders are now excluded from the search in the company trash results. In the company trash, you can delete files permanently using the delete keyboard shortcut. Long action names in workflow transition are now properly displayed.